Discussions Magazine Music Blog: SQUEEZE: Spaz reviews THE KNOWLEDGE! 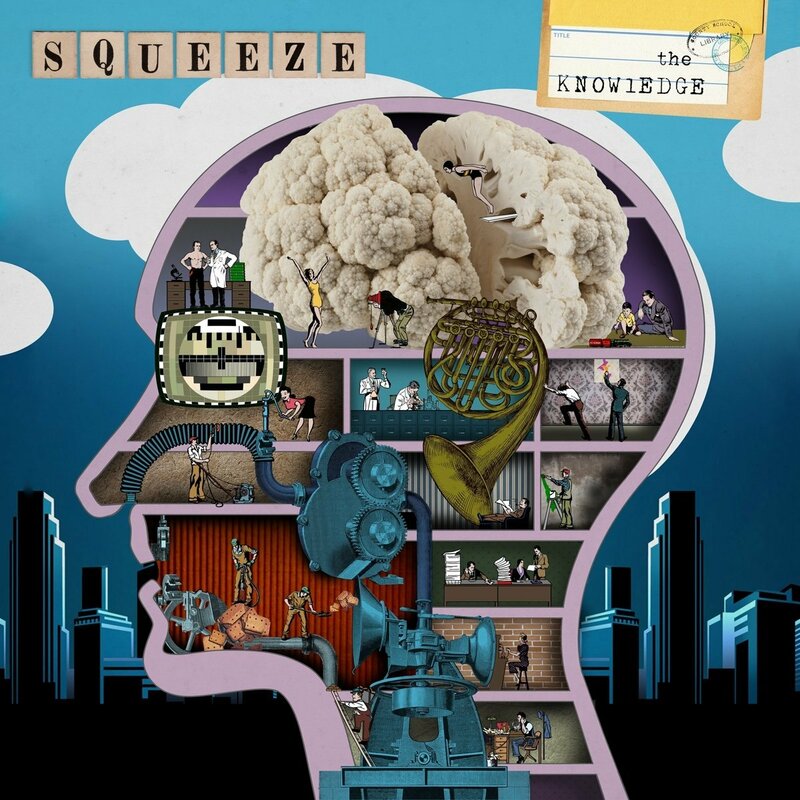 SQUEEZE: Spaz reviews THE KNOWLEDGE! 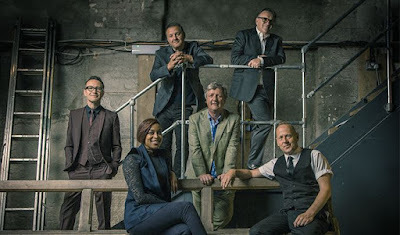 While Difford and Tilbrook’s relationship has had its ups and downs over the years, the duo keeps returning to the Squeeze fold and pleasing fans with electrifying live shows and the occasional album. In 2015, the band released CRADLE TO THE GRAVE, their first album of new material since 1998’s DOMINO. Much like their sorely overlooked ‘90s output, CRADLE TO THE GRAVE found the band mixing the spirit and energy of their younger days with contemporary production. 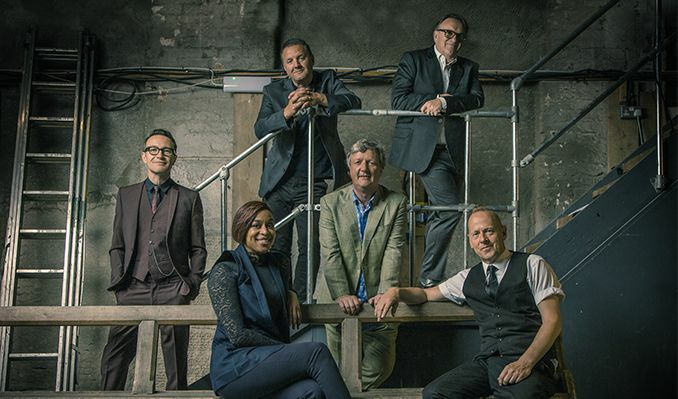 Squeeze are well aware of their legacy but they don’t keep re-writing the same old riffs. However, CRADLE TO THE GRAVE sounded like the album Squeeze thought their fans would appreciate. A ‘thank you’ of sorts. And they were right. Still remaining true to themselves, the band did play it a bit safe on CRADLE TO THE GRAVE. In a sense, they were dipping their toes in the water. Now, two years later, the band steps out on a limb and offers up perhaps the most adventurous album since EAST SIDE STORY. THE KNOWLEDGE is most certainly a Squeeze album – there’s no shortage of great lyrics, vocals and cracking melodies – but they are not afraid to stir the musical pot a little. Sometimes a lot. “Please Be Upstanding” is a glorious Pop nugget, a slice of classic Squeeze with the added bonus of pedal steel guitar (an instrument that appears quite frequently throughout the album). “Rough Ride” is a funky gem featuring a choir, an opera singer, a wailing trumpet and the kitchen sink. “Departure Lounge” is a lovely, haunting track that will remind fans of “The Elephant Ride” off SWEETS FROM A STRANGER. “Innocence In Paradise” has a slight Psych edge with a swirling melody and those classic harmonies from Glenn and Chris. “A & E” find the band’s sound parachuting into Memphis with a tight horn section, soulful backing vocals and piano work that recalls Steve Nieve (The Attractions) and Mike Barson (Madness). “Patchouli” is an upbeat Country shuffle with gorgeous backing vocals. ”Every Story” is one of those quirky gems with rhythmic twists that Tilbrook has perfected over the years. “The Ones” features an outstandingly soulful vocal from Glenn. “Elmer’s End” is an instrumental with different hooks hidden amongst the song’s layers – you’ll latch on to one of the different melodies each time you listen to it. The album’s playful closer, “Two Forks,” deviates from what you’d expect as well, solidifying the fact that you’ve just experienced a creatively rejuvenated band. Push play and experience again. Repeat as necessary. If you’re hoping for a new ARGYBARGY or COOL FOR CATS, then go out and buy new copies of those albums. If you want to hear what Squeeze is up today, then head down to your local music store and pick up THE KNOWLEDGE. It is an inspiring album that draws the line between then and now and has its eyes firmly on the future. This is Squeeze’s most consistent album since the sorely under-rated PLAY (an album that took many listens to sink in) and offers up many new surprises with each spin. A joy from beginning to end… and by the third listen, you’ll be filled with THE KNOWLEDGE!